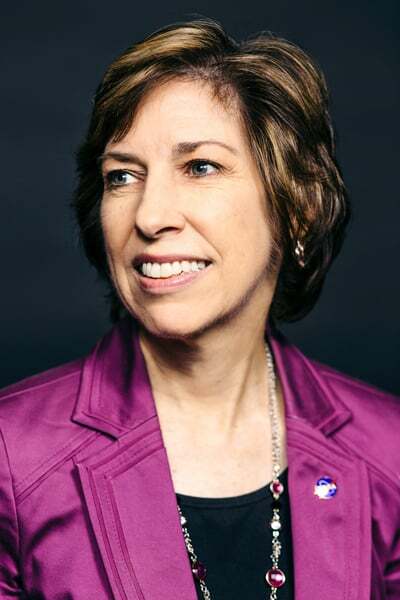 No one can say Dr. Ellen Ochoa hasn’t earned retirement. Before she became the eleventh—and first Hispanic—director of NASA’s Johnson Space Center, Ochoa worked her way up the intergalactic ladder as a research engineer before, in 1993, becoming the first Hispanic woman to fly into space. Across four trips, she logged nearly 1,000 hours in orbit, and has since earned not just NASA’s highest award, the Distinguished Service Medal, but also the distinction of having six different schools christened with her name. Ochoa served as director since 2012, and before that operated as the center’s Deputy Center Director and Director of Flight Crew Operations. During that time, she was witness to a number of NASA’s advancements and setbacks, from the construction of the International Space Station to her presence during the tragic Space Shuttle Columbia disaster of 2003. 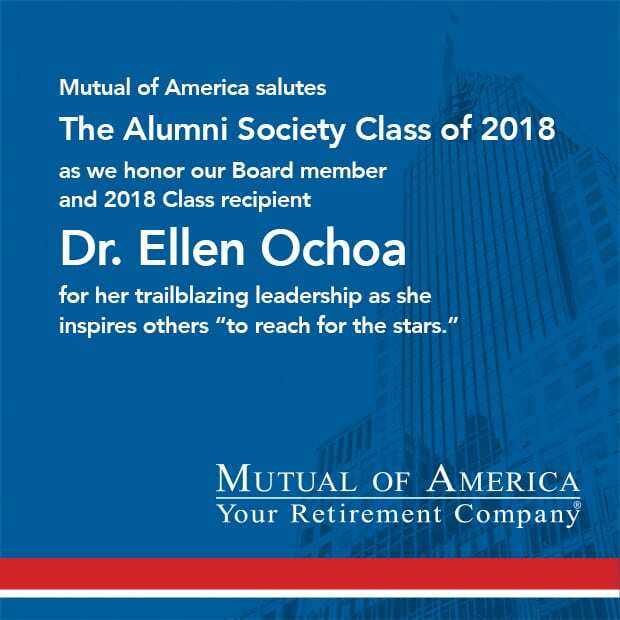 In an interview with The Alumni Society, Ochoa discusses her numerous contributions to our current phase of space flight, as well as her decision to retire and what lessons she’s taking away from such a unique industry. What prompted your decision to retire? Was it a difficult one? Well, I don’t think the decision itself was difficult, but when it came to actually leaving, it was emotional. Not that I didn’t expect that, of course. I knew that even if I waited a few more years it would still be hard, and this was just a good time for me personally. I had reached thirty years with NASA and my youngest son had just turned eighteen, so it was just a natural point in my life to look at the next phase. What lessons, specifically, would you say you took from your years as director? There’s always two goals: One is accomplishing the mission, and the other one is taking care of your people. Everything that I did was about those two things and, of course, if you take care of your people, you’ve gone a long way toward accomplishing the mission. But, as a center director, I can’t just think about today’s mission, I have to think about tomorrow’s mission and whether or not I’m doing the right things so the Johnson Space Center will still be the leader in human space flight five, ten, twenty years down the road. Are we evolving? Are we developing a culture that understands how important it is to continue to change? You have to be able to think much more broadly. What would you say are a few milestones from your career that, in retrospect, stand out to you as defining moments? Well, certainly my first space flight. [laughs] There’s a huge difference before and after you fly in space, from the experience of seeing the Earth that way to trying to work in microgravity. I was lucky enough to do that four times, but my first trip in 1993 was certainly a defining moment. There were also a number of milestones associated with the International Space Station. After my first couple of flights, my job in the office was to be astronaut office support to the space station program. This was just a couple of years after we reformulated and brought on the Russians, so no hardware had even been built yet. We were right in the beginnings of working through it all. We were making decisions about operations, training, and even what language we were going to speak onboard. So, being part of the ISS evolution was really an amazing thing. And then, of course, another defining moment was when we lost Columbia. I was sitting in mission control that morning as a crew representative, and spent the next couple of years first understanding what happened and then being part of getting back to flight. I’ve been really fortunate to have had all these amazing moments, but, obviously, Columbia was the most difficult thing we had to face at NASA. You’ve been a huge advocate for education throughout your career. What are some educational opportunities you’ve helped pioneer of which you’re particularly proud? After my first space flight, there were so many requests for me to come speak at schools, many of which were mostly Hispanic. I realized there were so many opportunities to be able to reach out to students and, in particular, girls and minorities in STEM fields. It’s great to be able to talk to them about what are these careers in engineering and science are all about. There are six schools now named after me, and I’ve been at been at all of their dedications. For some that opened a while ago, I’ve had the chance to go back several times and the kids are always a little bit amazed, you know, to have a school named after somebody who’s actually alive. What I really learned over my career is what a group of committed, passionate people, all working together for a common goal, can actually accomplish. What we did, building the International Space Station, is, to me, just unbelievable. We worked with fifteen countries to put together a million pounds of hardware in space, and once we got it built, we were able to include many other countries in terms of scientific research and educational opportunities. So we’ve had just about one hundred countries now in some way participate in the International Space Station, and it’s just been so much more successful than I could ever have imagined twenty-five years ago. It was inspiring to see so many people really focus on the goal, not on their own selves or what they’re getting out of it, to reach for this thing that’s just so much bigger than yourself.